Have You Considered Huntsville Assisted Living for Your Loved One? When is it time for Huntsville Assisted Living? Aging is an inevitable part of life. Knowing this doesn’t make it any easier to deal with a big life change such as recognizing a cognitive or physical impairment that renders a loved one in need of caregiving. A senior showing the early symptoms of dementia may seem to be healthy but have more and more trouble making sense of the world around him or her. The realization that something is wrong often comes gradually to the person and his or her family. There typically may be some moment of concern before accepting the difficult reality that mom or dad have lost their self-reliance and need help. It’s hard not only on the senior experiencing impairment but also on their family – both in terms of worrying about the progression of cognitive decline and, more practically, in demanding that someone step up and sacrifice their time to take care of them. Not always easy to do when we have families and careers we’ve built over decades. Regency Retirement Village of Huntsville offers an alternative that gives mom or dad greater attention, as well as opportunities to stay active. 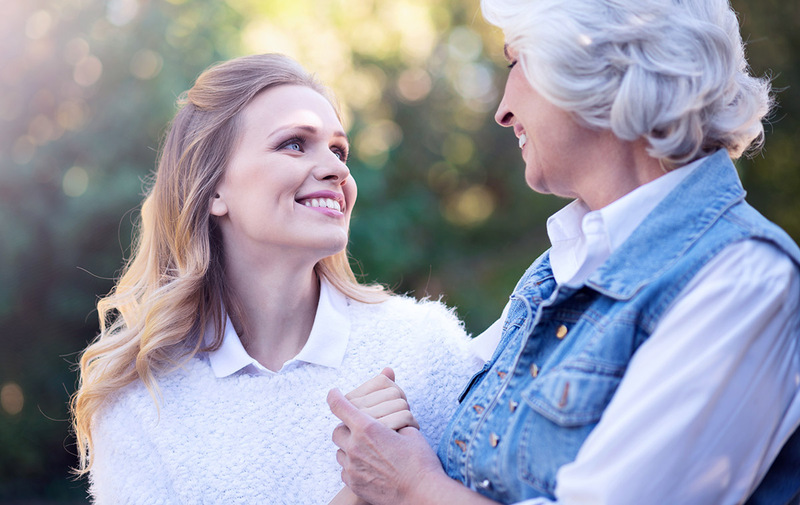 A senior may react with dread, denial or reluctance when first confronted by family about symptoms like difficulty remembering things or recognizing family and friends. Facing a problem that may worsen over time is frightening! And it’s even scarier when the senior has misconceptions about what Assisted Living is. Assisted Living specifically helps with multistep tasks, such as getting dressed, that become more difficult with age or injury, possibly provoking restlessness, agitation, anxiety, and frustration from the impaired senior. Trouble handling money and paying bills is another sign of mild Alzheimer’s disease. With Regency Retirement Village, these worries become a thing of the past. No more cooking or cleaning to be responsible for. Meanwhile, seniors can enjoy their retirement in an apartment they furnish with their own things. Guests can visit them any time, outings are encouraged, enrichment opportunities are provided, and Regency can provide residents with transportation for shopping, sightseeing, activities and medical appointments. Is Assisted Living the Same Thing as a Huntsville Nursing Home? No. There are varying apartment floorplans and degrees of care based on what each resident’s needs are. These include Huntsville Short-term senior care and Independent Living, which are largely comparable to staying in any apartment – except that skilled help is just around the corner 24/7 if needed. Regency Retirement Village of Huntsville DOES offer skilled nursing care in our 70,000-square-foot Health & Rehabiliation Center, but most of our new residents do not require around-the-clock medical attention. Assisted Living balances the need for assistance with daily tasks with the senior’s need for privacy and to remain as independent as he or she can. Once a senior actually visits our community and talks to other residents, he or she realizes that moving in is something to actually look forward to instead of resist. If they do wish to leave, however, they can do so with 30 days advance notice and removal of their furniture from the apartment. Most people just want to know that they aren’t being forced to do something against their will and still have choices. What if Mom or Dad’s Condition Requires More than Assisted Living? A great thing about Regency is the continuum of care. If a resident’s condition advances from mild or early-stage to more debilitating, Regency offers Memory Care from a secure, dedicated area of the same community. We can help them to minimize confusion by providing structure and preventing them from wandering and getting lost. Persons suffering from dementia experience problems coping with new situations, so it is comforting to know that heightened levels of care are available without moving to a whole different part of town. In other words, if the issues that prompt a move to Assisted Living worsen, a senior residing with us can readily find just the care needed to treat the symptoms. That means peace of mind that the future can be met with some stability. Your first step should be consulting the senior’s physician for an examination to rule out other treatable conditions that could mimic the symptoms of dementia. Some people have a condition called mild cognitive impairment, or MCI. It can be an early sign of Alzheimer’s. But, not everyone with MCI will develop Alzheimer’s disease. People with MCI can still take care of themselves and do their normal activities. There is currently no cure for Alzheimer’s, though there are medicines that can treat the symptoms of the disease. You should learn more about the condition so you can prepare for managing it. You can also use this website to research floor plans for Huntsville senior apartments and methods for affording retirement care. Call us at (256) 852-0033 or contact us through this website to set up a guided tour with one of our community consultants.